Winter is just around the corner, and with it comes a great marketing opportunity for businesses in the adventure and leisure field. Customised promotional beanies are a fantastic way to get your business name out and about in front of a large audience base, getting your current customers do all the work in doing so. Whether you supply products to those looking at a winter snow adventure, or those who love getting out on the water to catch the winter fish, a promotional beanie that is well made and long lasting, can be a great addition to your apparel range. EzyCaps has a large range of beanies to choose from that are suitable for a range of purposes and a range of customers so you have plenty of options. It is good to remember that beanies aren’t just a winter option – if you have customers looking at adventuring overseas, even holding a small stock throughout summer may mean you get more customers through the door. The Cable Knit Beanie is a real fashion accessory and with availability in four great basic colours, this beanie is perfect for those looking for a stylish look while they sit at the footy or are out and about camping. With plenty of branding options, these beanies won’t break your budget. Our Helix Microfleece Skull-Cap beanie is a good option for those who love to get out for a run in the early hours of the morning. They are windproof and lightweight and offer a warm polyester stretch-knit construction. These beanies are on the more expensive end of the scale, however they offer the option for either an embroidered or printed logo. You may find they hit a rather small market, but for runners looking for a beanie that will stay on, this is the one for them. For your customers who love camping in the middle of winter, you can’t beat the Helix Knitted Fleece Beanie. Warm and comfortable to wear, these beanies will certainly keep your customers going on the coldest of nights while they bunker down in their tents or go stargazing. With a microfleece interior, these beanies are a great way to promote your business while keeping your customers warm. If you’re after a budget friendly item, both for your own marketing budget and for your customers, the 100% Acrylic Beanie is a solid option. This knitted acrylic beanie, available in two standard colours options, is comfortable, warm and will look great with an embroidered logo. They are great for those who love chasing fish in the middle of winter, or for your customers looking for a basic beanie for work or recreational purposes. Quality winter apparel can be hard to chase down, and for businesses looking to expand their branded apparel range, beanies can be a great addition. 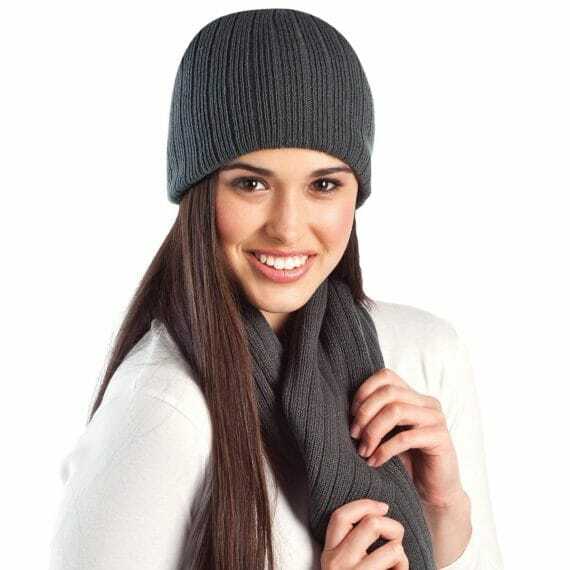 Why not contact the team at EzyCaps on 1300 753 675 to find out the best products for your winter apparel range.